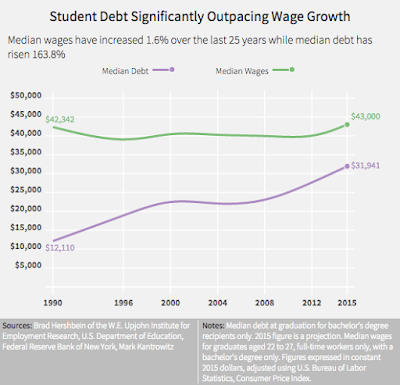 In 1990, no so long ago, a typical graduate incurred debt equivalent to 28.6% of his annual earnings. In 2015 that figure shot up to 74.3%. 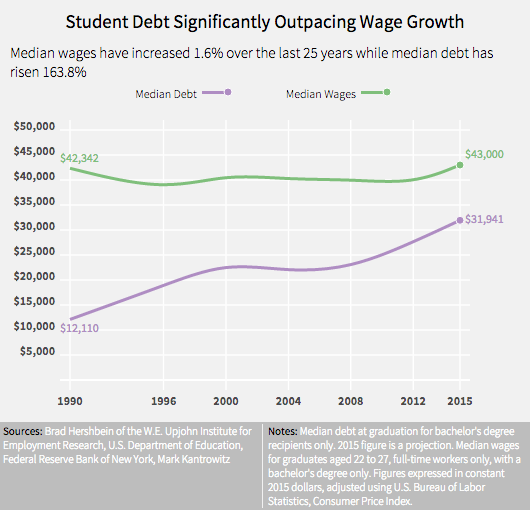 By one calculation given the trends continue at the same rate, a graduate could end up with debt in excess of of their annual wage by 2023. Seven out of ten college students pay for their education with debt and one in four of those are in default according to the Consumer Finance Protection Bureau.